Slice papaya and arrange on a platter. 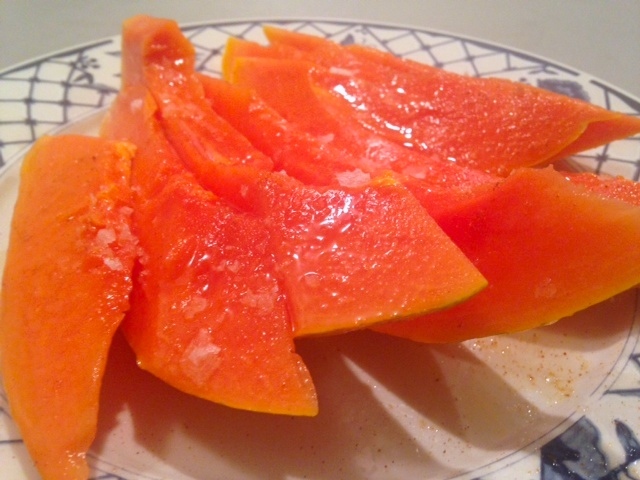 Squeeze lime juice over papaya and drizzle with honey. Finish with cayenne pepper and sea salt, eat, and repeat.